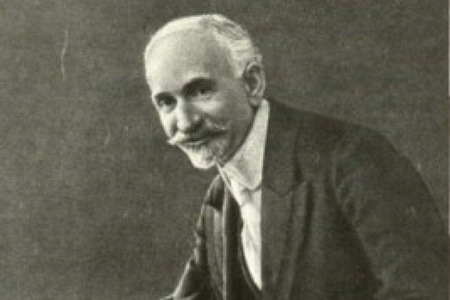 Hovhannes Tumanyan (February 19, 1869 - March 23, 1923), is considered to be one of the greatest Armenian poets and writers. His work was mostly written in tragic form, often centering on the harsh lives of villagers in the Lori region. Tumanyan is usually regarded in Armenian circles as «All-Armenian poet». 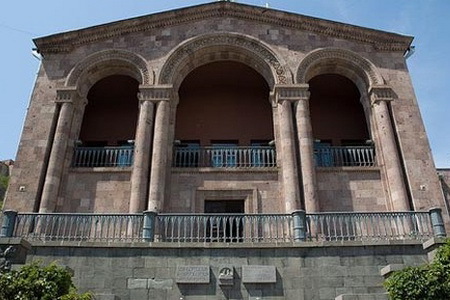 Hovhannes Tumanian Museum functions since 1953. The founder and the first director was the poets daughter. 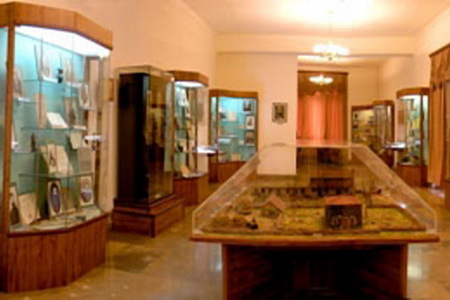 Copies of manuscripts, photo documents and original illustrations of Tumanian writing, works of such artists as G.Yeritsian, A.Grigorian, G.Khanjian are exhibited here. In 1969, on the occasion of the 100th anniversary of the great writer, a new two-storey building was built to house materials related to Tumanyans life and work including his personal items, documents, manuscripts, sketches, and publications in more than 40 languages. 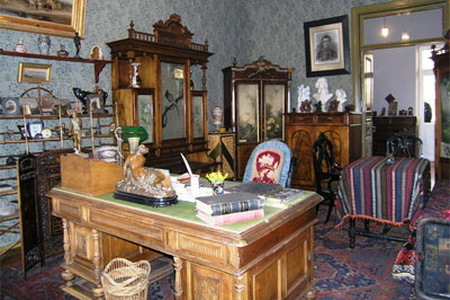 The second floor replicates in minute detail Tumanians Tiflis (Georgia) apartment where the writer lived the last 14 years of his life. 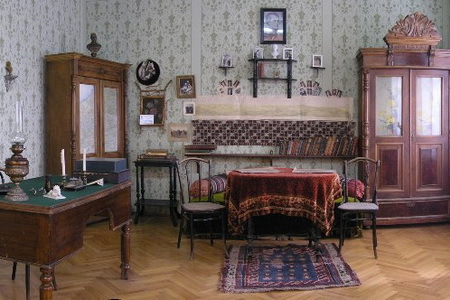 The museum also accommodates his private library of about 8000 volumes dedicated to studies on the Caucasus and Armenia, religion, culture, history and folklore of various nations. 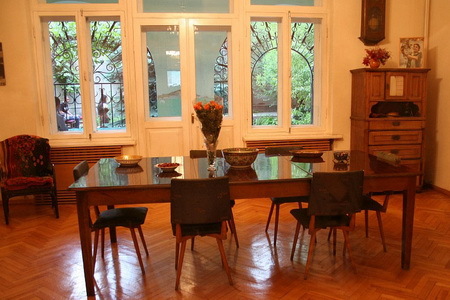 The museum is a large research center and organizes literary events and performances dedicated to the brilliant writer Tumanyan. Cultural events and exhibitions are organized as well. The patio has the bust of the poet (sculptor Aytzemnik Urartu) and a small chapel (architect R. Julhakyan) where the heart of the poet is buried.